Tennis court resurfacing & repair in Akron & Canton Ohio. SportMaster Sport Surfaces are produced in Northern Ohio and installed by experienced sport surfacing contractors. Contact us for free estimates by qualified tennis court contractors. One of the biggest problems encountered with court surfaces is cracks. No matter how well your tennis or sports court it built, you will eventually have problems with surface cracking. 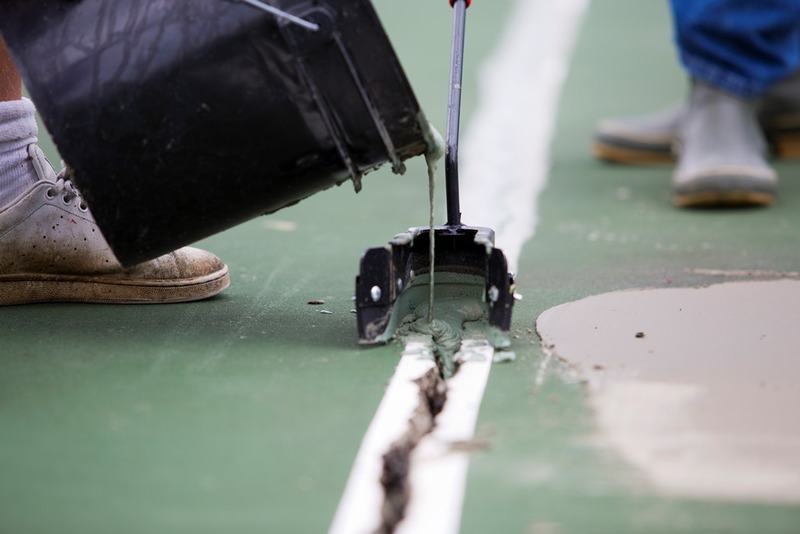 Our contractors can provide you with multiple options of tennis court crack repair. There are ready-to-use acrylic crack fillers and sealants for most cracking issues. If you have larger structural cracks, there are some patented crack repair membrane systems available. 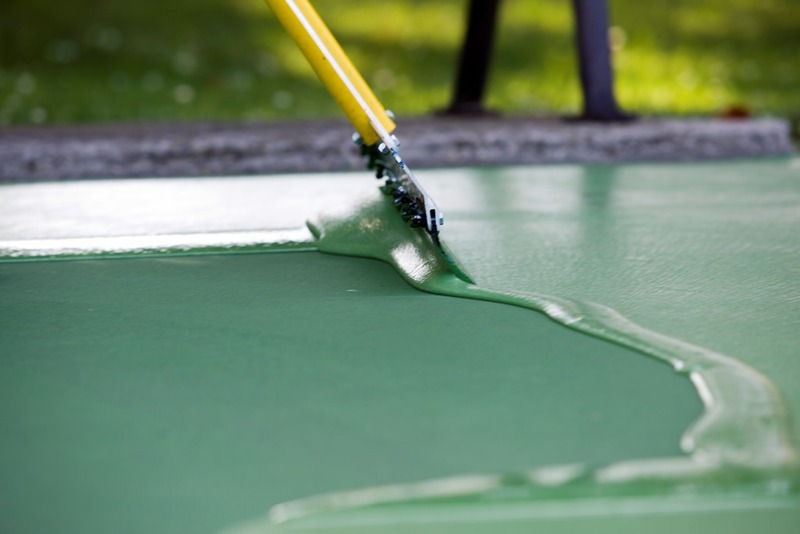 These systems provide longer-term crack repair solutions for your tennis, basketball, or pickleball court surfaces. 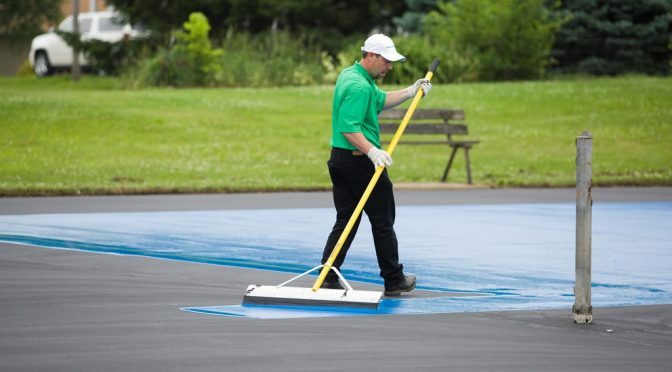 How much does it cost to resurface a tennis court in Akron Canton Ohio? if you are in the market for a backyard sports court in Akron Canton Ohio, give us a call or fill out our form. As a manufacturer of sport repair products and surfaces, we can provide a custom scope or specification and contractor referrals. This way you get an “apples to apples” quote on the best procedures for your sports surfaces. Whether you need to have a court built or resurfaced, we can help. Contact us today for your athletic surfacing needs.